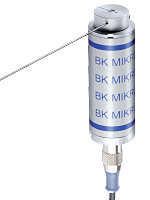 BK Mikro – Scanner Types and Specifications – Part 2 |Techna tool Inc. BK Mikro – Scanner Types and Specifications – Part 2 |Techna tool Inc. 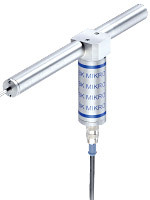 In the last blog post, we had a general discussion about the BK Mikro tool detection system. The blog also discussed the first three types of scanners that are specially designed for the BK Mikro system. As a continuation, this blog discusses the remaining three types of BK Mikro scanners available at Techna-Tool. TK94A/TK94RL: Available in two variants, TK94 scanners are ideal for applications in hostile environments consisting of a large quantity of coolants. Both TK94A and TK94RL models are perfect for checking tools in lathes, transfer lines, and gun drilling machines, among others. Consider choosing TK94A variant when tool scanning is required in one direction, either clockwise or counter clockwise. However, the TK94RL variant would be the best choice when scanning in both directions (Clockwise and counter clockwise without stopping) which is helpful for cost savings by only needing one scanner for 2 tools. TK96A/TK96RL : When your application has tight mounting requirements with confined spaces, TK96 is the right scanner option. It is the smallest scanner available with Techna-Tool for BK Mikro tool detection. The model is perfect for use with Swiss style machines or multi-spindle heads. All these models show impeccable resistance to wear, tear, and corrosion, as they are manufactured with anodized aluminum or stainless steel housing. Choosing the right sensor type is crucial to achieve accurate results. 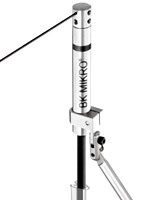 Ensure that you are mounting the right type of scanner on the control unit when operating BK Mikro. If not, it may damage both the scanner and the control unit. The aforementioned points help you understand different scanner types that are specifically designed for BK Mikro with specification details. You can also speak to Techna-Tool in case you require more information to make a wise selection. This entry was posted in BK Mikro scanners, BK Mikro series and tagged scanners designed for BK Mikro system. Bookmark the permalink.